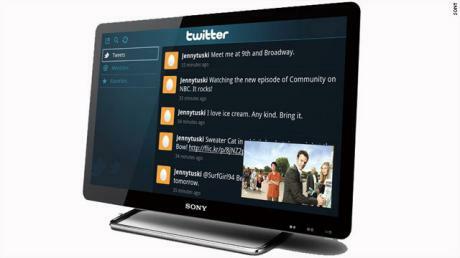 Sony, one of the leading manufacturer in the Television Industry has unveiled the first ever Television set to feature Google TV. The announcement was made at a press event held in the New York City which brought in a variety of models. A new feature has also been added to the TV sets which would feature 1080p edge-lit LED screens except the 24-inch model. Besides the graphic update, the sets also feature four USB ports, four HDMI inputs and Wi-Fi capabilities. As Sony unveils the new Internet TV experience, the software also brings in Hulu, Twitter, Netflix, YouTube and Pandora directly to the Television. You won’t miss any part of browsing when Google is powering a gadget. Web surfing can be performed over Google Chrome with the apps being powered by the Android OS. A wide range of Sony TV sets were made available with the starting price of $599 delivering a 24-inch NSX 24GT1 model. Next of we have the 32-inch class NSX-32GT1 model which is available at an attractive price of $799.99 and a 40-inch model, NSX-40GT1 at a price of $999.99. The most expensive model in the lot is tagged at a price of $1399.99 having a 46-inch screen and a model of NSX-46GT1. Google TV gives access to users to browse the web as well as search for content. Powered with Android OS, the Google Chrome browser lest s you download applications to your TV via th Android Marketplace.